Gutter Cleaning in Ipswich, QLD 4305. Welcome to Aclean House Washing. We are committed to providing you with the highest quality Gutter cleaning services around Ipswich at affordable prices. Gutters are integral to any home. The roof gutters ensure the easy flow of rainwater from the roofing and walls down to the ground. 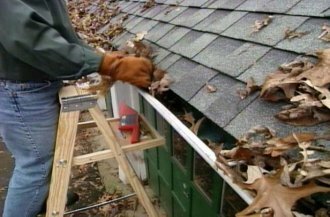 But over time, the gutters can get filled and clogged with leaves, debris, and bird droppings. At times, birds may also attempt to build a nest there. And so, this way the roof gutters can get blocked and water cannot pass through them. And this can damage not just the gutters but also the roofing and the walls too. No matter how much you take care of the roof gutters or you see to that timely gutter cleaning is carried out in your Ipswich residence, gutter cleaning should be undertaken very often. This has many contributory reasons. 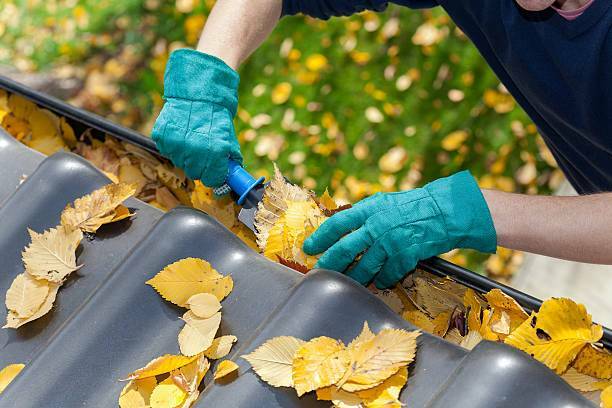 For one, the roof gutters are out, exposed to nature and therefore it is natural for dirt, leaves and other debris to collect in the roof gutters. And with time, if you don’t have this removed regularly, then it can hamper any water movement. And not just this, it can cause damages to the roofing or walls or the collected rainwater can leave water stains and traces of dampness on the walls and roofing. That is why experienced gutter cleaners from around the Ipswich neighbourhood is relied upon to take care of gutter cleaning. So, it is good to engage the gutter cleaners from A Clean House Washing in Ipswich to take care of it accordingly. To clean the roof gutters and gutters in your home in Ipswich connect with the cleaning services company - A Clean House Washing. You may reach us on 0419 778 863. Or email us on acleanhousewashing@gmail.com.